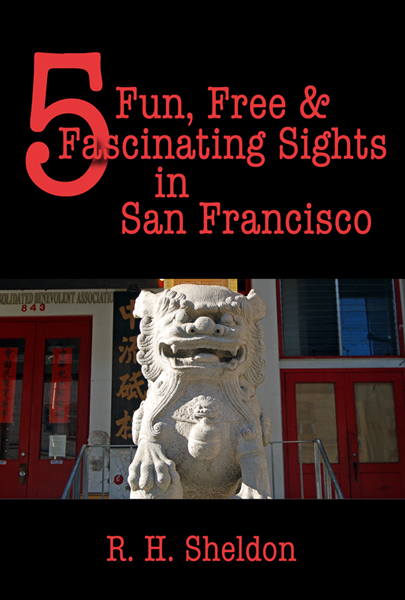 5 Fun, Free & Fascinating Sights in San Francisco is part of the 5-Spot ebook travel series. This is neither your typical series nor your typical guide. Like other 5-Spot books, the San Francisco guide provides an intimate and often humorous perspective on five great sights, in this case, the Golden Gate Bridge, San Francisco Maritime National Historical Park, Telegraph Hill, Chinatown, and Golden Gate Park. You can use the guide to enhance your stay in San Francisco, or if you already live there, use it to become better acquainted with the city. You can even pass the information off to your visiting relatives when you want to get them out of the house. 5 Fun, Free & Fascinating Sights in San Francisco gives you a close-up and personal look at sights not only interesting, but also fun to visit. Best of all, you can view a a YouTube video that shows additional photographs of each of the five destinations. And the book includes a link to the 5-Spot web page, where you can connect to the current version of the video. The book also includes links to additional information about each sight as well as to a Google map that shows the sight’s location. Like all books in the 5-Spot ebook travel series, 5 Fun, Free & Fascinating Sights in San Francisco is dedicated to the frugal, miserly, penny-pinching tourist in all of us. Each book in the series describes five fun and fascinating sights that are, of course, free to visit. And in today’s economy, free is not a bad way to go. 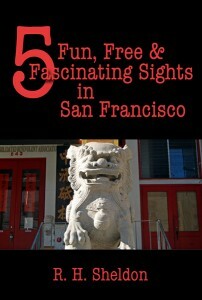 Currently, you can order 5 Fun, Free & Fascinating Sights in San Francisco from Amazon and Smashwords.